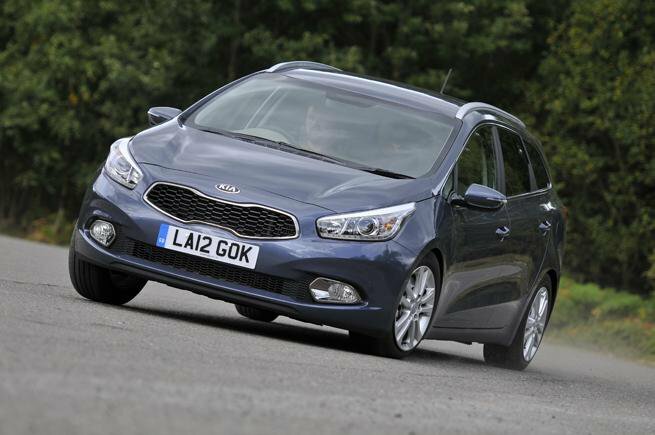 Deal of the Day: Kia Ceed Sportswagon | What Car? The Kia Ceed Sportswagon was named the best estate car that costs less than £18000 at the What Car? Car of the Year awards, and it’s now available with a tempting discount online. A saving of more than £2400 is a great discount on an already well-priced estate that comes with Kia’s brilliant seven-year or 100,000 mile warranty. The Ceed Sportwagon is comfortable to drive and there’s plenty of room for passengers, too, thanks to the decent leg- and headroom in the back and front. The 528-litre boot is larger than that in the Ford Focus estate, and the rear seats can be folded to increase the Ceed’s capacity to 1642 litres. Our True MPG results showed that the Ceed Sportswagon is capable of a real-world 58.7mpg figure. Engine and road noise is intrusive in the cabin at all speeds but even more so on the motorway. '1' trim is entry-level, but still comes with air-con, Bluetooth, USB and theft-resistance features like deadlocks, an automatic door-locking function and locking wheelnuts. The only optional extras you can add are paintwork choices. ‘Fusion white’, ‘phantom black’ and ‘silver storm’ metallic paint options cost an additional £490 each if the standard solid ‘track red’ colour scheme doesn’t do it for you. If you choose to take out PCP finance at 4.9% APR Representative over 36 months with a minimum deposit of 10% then you discount is increased to £3943, bringing the total cost down to £13,352. Head to Drivethedeal.com then select ‘Kia’ and ‘Ceed – Sportswagon’ from the drop-down menus to see the full range of deals available.